About 80 sophomores will have to live in ResCo instead of Fairview next year. Collegian file photo. On March 27, first-year students attended a housing selection lottery event during which many expected to choose where they would live in Fairview House next year. The residence hall predominantly houses sophomores. Instead, about 80 students at the lottery were placed in ResCo, a first-year residence hall. Kathy Shellogg, executive director of student living and learning, cited the class of 2022’s record-breaking size and continued growth through the Butler 2020 plan as reasons for why a number of sophomores are being placed in a wing of ResCo. “You might not get your first choice or the choice that you assumed you would have,” Shellogg said. Shellogg added that rumors about next year’s sophomore students being forced to live in Ross Hall are false. First-year Alexandrea Schlafer was trying to select housing with her friends at the event and said the process as a whole was unorganized. Schlafer, who had planned on living in Fairview next year will now live in ResCo. 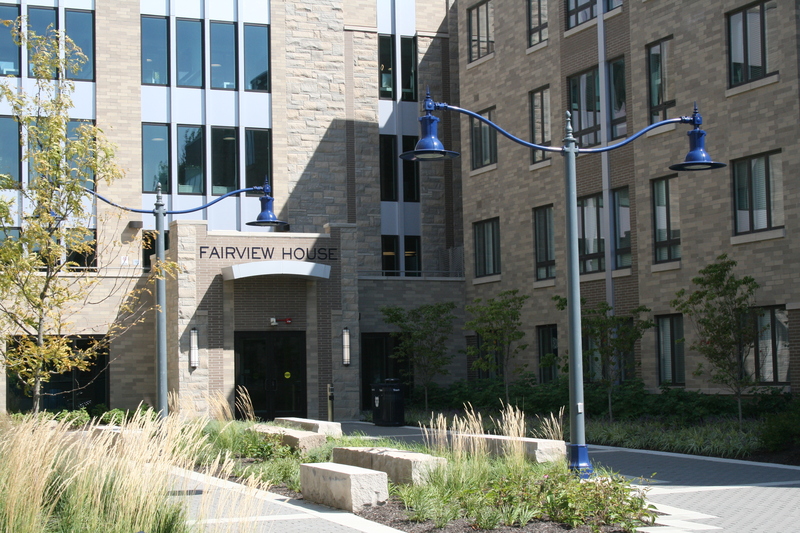 Students were not officially told by Residence Life that Fairview had been filled until they were called up in groups to pick their rooms. This forced students to change plans on the spot. Fairview houses pods of six and eight students while ResCo has four-person suites. First-years Hannah Salsbery and Blair Hackett saw students at the housing selection event who were visibly overwhelmed. Some of them were brought to tears by the situation. Salsbery and Hackett said were especially concerned for students who need student disability services accommodations.They questioned whether these students had to organize accommodations during the event. “I expected more from Butler in general because they are supposed to be that Community of CARE,” Salsbery said. However, Shellogg noted that students who need student disability services accommodations should have had those organized separately through the SDS office. The number of sophomores in ResCo may go down as Fairview rooms open up. This year, students were allowed to choose a room in Fairview without a complete pod of six or eight. Additionally, first-years were slated to select housing for next year before sophomores and juniors. This is opposite of the order used in previous years. Salsbery and Hackett currently live in Fairview this year as first-years. Their plan was to live in Fairview single rooms next fall. Instead, they will live in ResCo. They were especially frustrated by this because they were told ResCo is cheaper overall. However, they chose to live in single rooms in ResCo, which are almost $500 more per semester than a single room in Fairview. “It was our only option, and we aren’t getting nearly as much as we would in Fairview,” Hackett said. Shellogg emphasized the importance of being prepared to make changes because of limited space in popular housing choices like the Apartment Village. Shellogg said that unpreparedness could have been largely responsible for the confusion and stress that occurred during the room selection event for first-years. Although information about the housing selection process could be found online and in emails sent to students from ResLife, Shellogg said that it was possible many students did not utilize these resources. Hackett said she remembers signing her housing contract and seeing that the only living option available on the contract for sophomores was Fairview at the time. This may have been another source of confusion. However, the contract stipulates that this selection was only an indication of preference, and was not a guarantee included in the contract. Moving forward, ResLife is working on improving the ways students are sent information about housing for next year so they have a better understanding of what to expect before selecting where they will live. Additionally, they are looking into using a software program to help students make choices for their housing. Information about student housing and the lottery selection process can be found under the residence life section of Butler’s website.